Before Alchemist and Oh No released Gutter Water, I wasn’t sure what to think; any time that two producing emcees collaborate on a project, I’m almost certainly going to compare their effort to Champion Sound by Jaylib. I still remember picking up my copy of Gutter Water the day that it came out, and I also remember being completely blown away. There was one immediate thought that came to my mind: Should I pour bleach into my ears to clean out the filth that I had just been subject to? Listening to Gutter Water is the equivalent of bathing in raw sewage without putting in ear plugs. On Vodka & Ayahuasca, Oh No and Alchemist casually continue the trend of mind marauding with pavement pounding beats and raised rhyming skills. Although I’ve never heard of it prior to this album, apparently Ayahuasca is a psychedelic brew infused with DMT (dimethyltryptamine); in this sense the album title Vodka & Ayahuasca seems pretty fitting: what you are about to hear could easily be the bi-product of being wasted on vodka and tripping balls. On the album’s introduction, one of the first things that we hear is someone violently throwing up; it’s obvious that debauchery and disgust are about to ensue. The gritty guitar loop on “Gladiator Music” is enough to make the average listener crazily claw away at their skin until there is nothing left but meaty flesh, and Kool G Rap adds his legendary flow to an already impressive album cut. Tracks like “Vodka & Ayahuasca”, “Dump Truck” and “Top Instructors” make me wonder how it’s possible to follow up a previous track so strongly; the beats on this album are so impressive that I’m expecting every preceding track to be underwhelming compared to the last, and that’s nowhere near the case. After hearing Vodka & Ayahuasca it’s very apparent that Oh No and Alchemist have been honing their skills on the mic since Gutter Water; although most people probably don’t consider Alchemist and Oh No top tier emcees, it’s obvious that they feed off of each other, and they make their chemistry work very well. 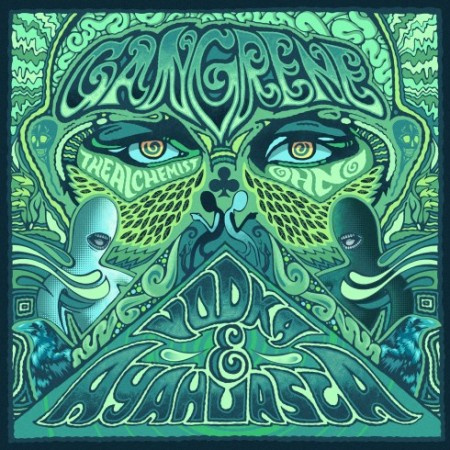 The list of guest appearances on Vodka & Ayahuasca is miniscule at best, but it is extremely effective; Roc Marciano, Evidence, Prodigy, Roc C and the aforementioned Kool G Rap all do their part in adding an extra dose of filth to each of their respective tracks. Alchemist and Oh No have created an album that blends brilliant boom bap production with unrelenting unadulterated rhymes. At just over forty minutes long, Vodka & Ayahuasca is a quick but enjoyable ride that will leave you itching for more. This entry was posted on Thursday, February 2, 2012 at 4:22 pm and is filed under Music Reviews with tags Alchemist, Champion Sound, Evidence, Gutter Water, Jaylib, Kool G Rap, Oh No, Prodigy, Roc C, Roc Marciano, Vodka & Ayahuasca. You can follow any responses to this entry through the RSS 2.0 feed. You can leave a response, or trackback from your own site. These all YouTube gaming videos are actually in pleasant quality, I watched out all these along through my mates.